Popular Nigerian preacher and televangelist TB Joshua was under mounting pressure on Wednesday to co-operate with the authorities after a fatal building collapse that claimed at least 67 lives. 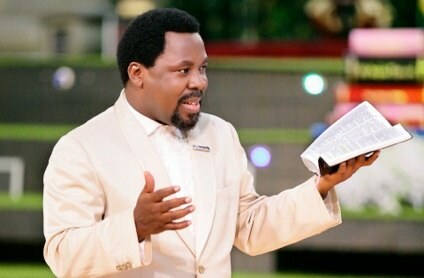 TB Joshua and staff at his Synagogue Church of All Nations had so far failed to disclose information to the investigation, the Lagos state government and emergency services said. South Africa’s President Jacob Zuma announced on Tuesday that 67 of his compatriots were killed in the collapse on Friday. Pretoria’s ambassador to Abuja complained investigators had faced difficulties in getting detailed information on the ground. In Lagos, rescuers were still picking through the rubble with heavy lifting equipment and using sniffer dogs in the search for survivors. “The church is not co-operating with emergency workers at all,” said National Emergency Management Authority (Nema) spokesperson for the southwest region, Ibrahim Farinloye. “For the first three days of the incident, the church people were very hostile and prevented rescue officials access to the site,” he told AFP. Earlier access may have saved lives, he added, giving the latest toll as 67 with 131 survivors. South Africa’s ambassador to Nigeria, Lulu Mnguni, told the eNCA news channel that the death toll was still uncertain. “The numbers can still either go up or down. We have put more people on the ground to assist us,” he said. Some five South African church tour groups totalling about 300 people were thought to have been in Lagos at the time, the government said. Toyin Ayinde, Lagos State commissioner for town planning and urban development, said an investigation would examine Joshua’s claim that a low-flying plane may have been responsible for the collapse. He told Nigeria’s Channels television they were checking with Lagos international airport, which is just east of the church, about the altitude of planes in the area at the time. Samples were being taken from the building to determine the material used in the construction. Initial indications suggested the collapse was caused because extra floors were being added to the building without strengthening foundations. Ayinde said Joshua and his staff had not yet met engineers and representatives of the Lagos State Emergency Management Agency, which was affecting their ability to disclose accurate information.